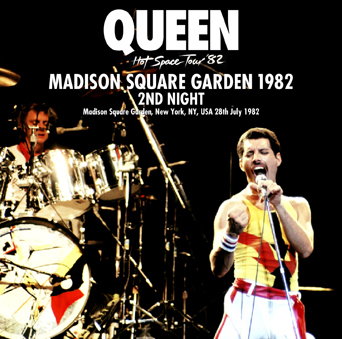 Recorded: Live at Madison Square Garden, New York, NY, USA July 28th. 1982. Comments: This concert has previously been released by BREAKDOWN label in May 2007 with the title 'Crazy For Madison' 2cdr. I'm not sure which tape source Uxbridge has used on this release. From the USA 'Hot Space Tour 1982', which also become the last tour Queen did in USA.